Located inside the Fontainebleau Miami Beach, Hakkasan Miami is the Florida outpost of the high-end restaurant chain that originated in London. The Forbes Travel Guide Recommended restaurant brings its signature modern Cantonese cuisine — think Peking duck with caviar and wok-baked lobster — to the vibrant Miami Beach scene. Inside, the vibe is cool and moody. Patrons nibble on artistically presented food in the dimly lit dining room, which features intricate wood carvings, leather banquettes and soft funky music. White marble flooring and walls add a cool, elegant touch to the space, while glowing blue illumination set the tone for intimate glamour. 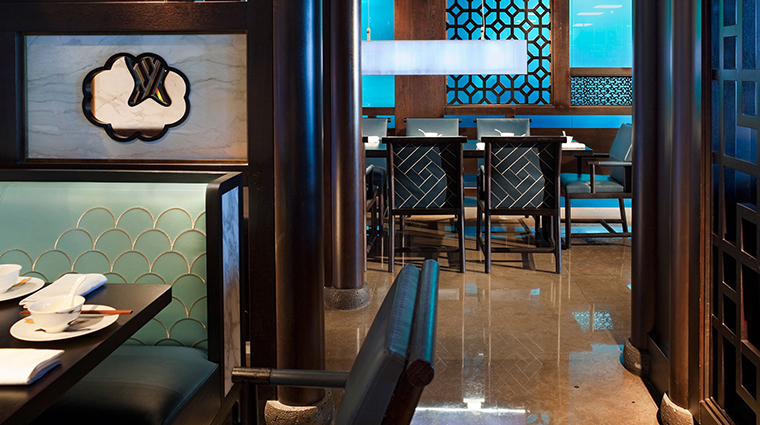 Against a gray brick wall just off the entranceway to the Forbes Travel Guide Recommended restaurant, you’ll see the bar, also illuminated by a blue glow from below along with undulating waves of light resembling glistening water. Other highlights of the hip Miami restaurant include a long list of innovative cocktails (the warm tea drinks are popular) and dim sum lunch on the weekends. •The cuisine here is inspired by the Guangdong Province and Hong Kong. Cantonese cooking is noted for its soups, seafood and banquet-style dishes. •Why not break out of your crispy chicken with orange sauce or stir-fried lobster with xo sauce comfort zone? Here, you can step out of your culinary comfort zone by trying braised Japanese abalone with sea cucumber or braised luffa melon with crispy scallops. 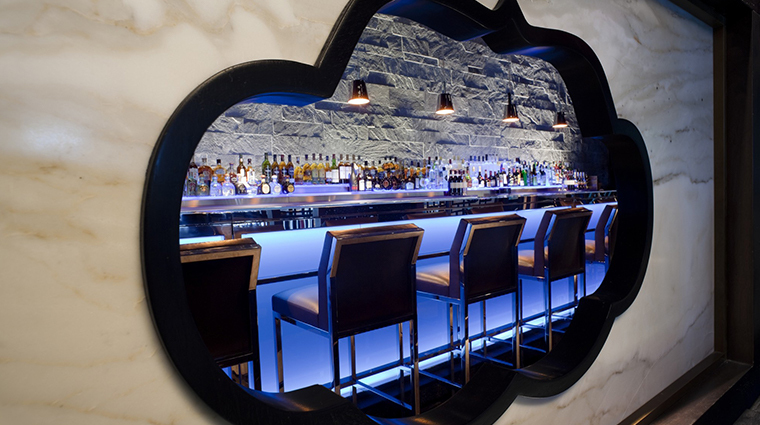 •Much like the Fontainebleau itself, Hakkasan Miami’s décor is sleek, chic and just a tad mysterious. •While you’ll still find Cantonese appetizers and entrées on the menu, a meal here is best appreciated when shared — so go with a group and order several dishes. •The dress code at Hakkasan Miami is smart casual. While you don’t want to show up dressed for the beach (which is right outside the restaurant’s doors), you needn’t be overly formal at this Forbes Travel Guide Recommended restaurant either. To ease confusion, simply dress for a night out in Miami Beach. 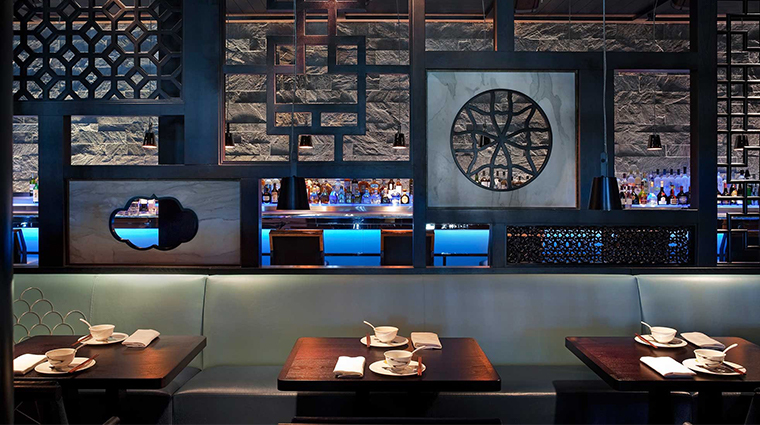 •To reserve a table at Hakkasan Miami, call the restaurant directly or log on to OpenTable.com. While the Forbes Travel Guide Recommended restaurant inside the Fontainebleau Miami Beach is fairly easy to book during the week, the weekends tend to fill up quickly. •The restaurant’s name has special meaning. It pays tribute to the Hakka people from the New Territories of Hong Kong, while the “san” is the respectful Japanese form of address.